The forest floor gave way to a small black pond which was by now almost indistinguishable from the muddy trail which led to its bank. Towering over the basin of the pond were the Ceiba trees, like obscure shadows that were closing a casket over the ground below. Every now and then an opening in the forest canopy revealed a night sky which had grown far more compelling since we first set out at dusk. La Selva was rich with sounds; there were howls and croaks from the forest’s diverse denizens and this abundance was further accompanied by the voracious buzzing of the local mosquitoes who were gorging themselves at our expense. 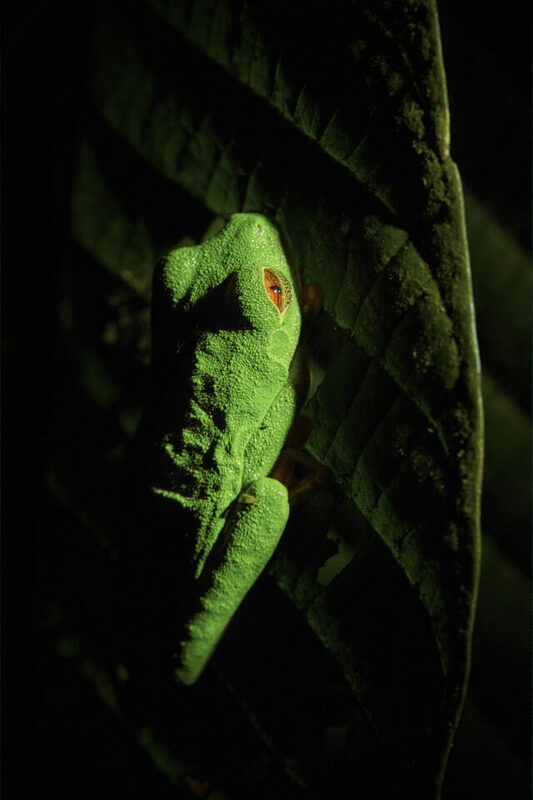 Our mission and subsequent appendageal sacrifice (we were not using a DDT based Mosquito-Replant for reason which I will explain later) was to find one of Costa Rica’s most enigmatic creatures: The Red-Eyed Green Tree Frog. A brilliant medium sized tree frog whose arboreal and nocturnal nature made finding it an exclusively night based venture. During the day, the frog sleeps high above the ground in the shade of the canopies leaves. At dusk, they begin descending towards the ground in a nightly journey to find food. With our flashlights leading the way through the thick undergrowth, we were hoping to come across one such hunter on his nightly jaunt. We spent the next hour combing through the plants that surrounded the murky pond. 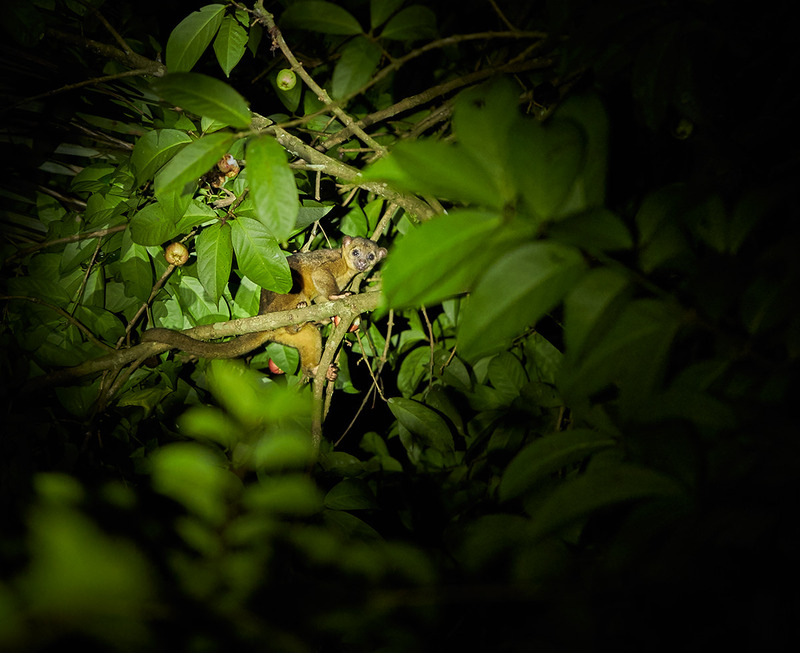 Our search yielded a host of the forest’s other nocturnal inhabitants. From a variety of different spiders to a lively Kinkajou feasting on fruit, the forest was bustling with activity yet our quarry remained hidden from view. 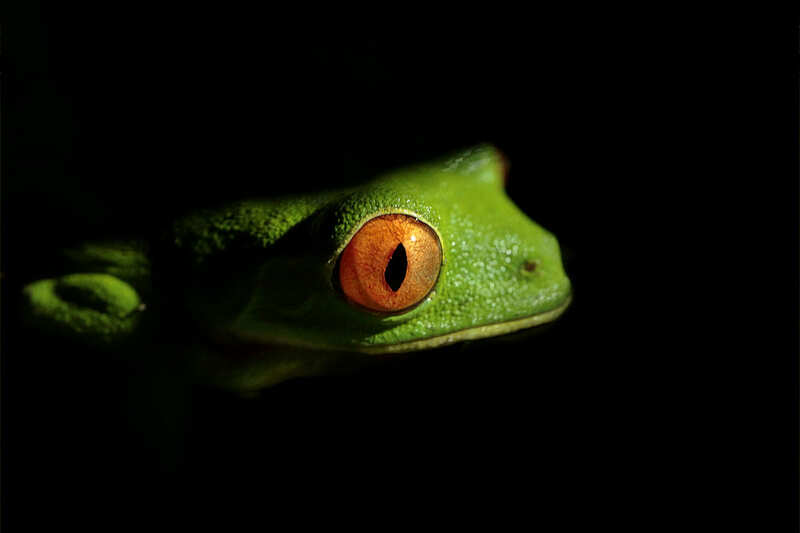 The key to finding the Red-Eyed Green Tree frog, whose green skin makes it all but indistinguishable from its environment, is the frog’s enormous ruby-red eyes. These glow like red embers in the darkness when they are exposed to light. 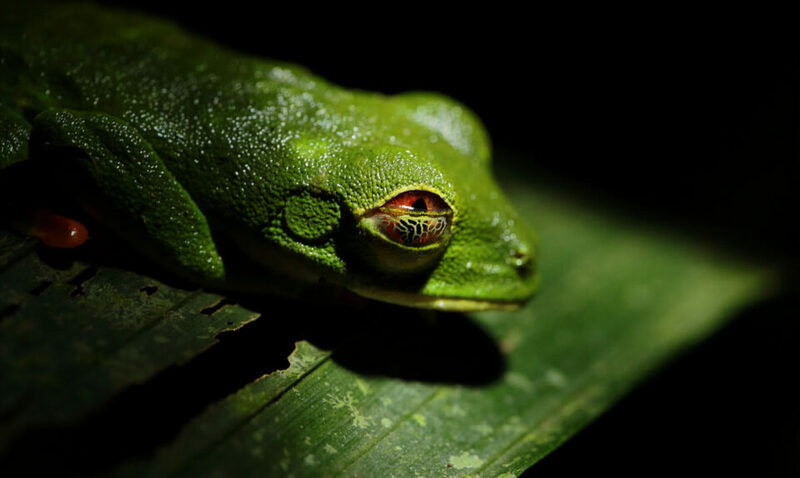 It was two hours into our search when, with a bit of luck and persistence, we had finally found not one but two Red-Eyed Green Tree Frogs in close proximity. Due to their sensitivity to light, the challenges of photographing the species at night soon became clear. They close their eyes and tuck away their body if they are exposed to light for more then a few seconds. This meant I had to work in short intervals to try and capture the frogs with their eyes open. This was only partly successful as you can see from the photo above. Note: I did not put any DDT based bug-replant to ward off mosquitoes because I knew I would be working with amphibians who can be can be extremely sensitive to chemicals. That night, I would go on to spend a glorious thirty minutes with the pair of Red-Eyed Green Tree Frogs. This was part of my introductory trip to Costa Rica which is home to more than 500,000 species of wildlife. 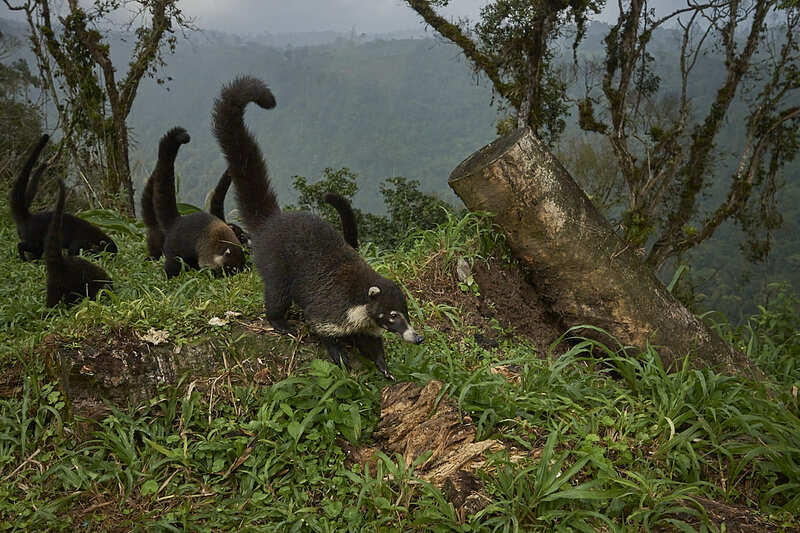 It’s variety of contrasting forest and rainforest habitats have made it one of the most bio diverse countries in the world, with over 4% of the Planet’s species residing within its borders. 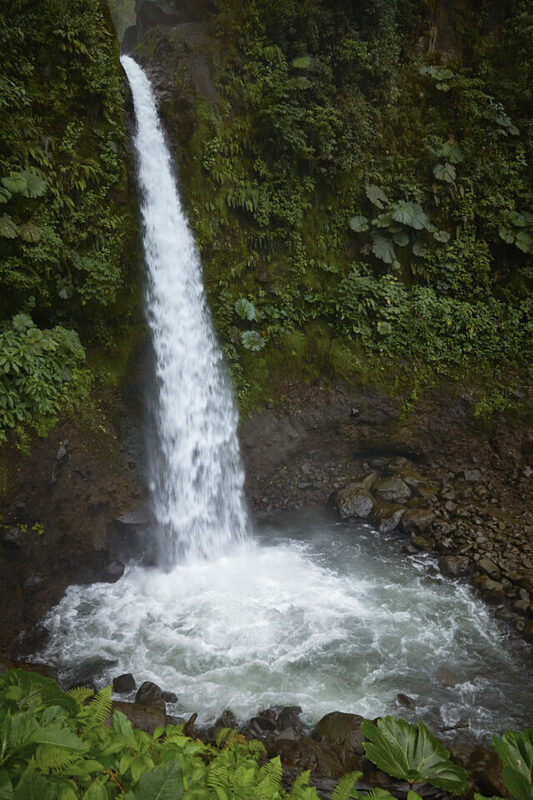 While it’s allure is unquestionable, it is Costa Rica’s developed infrastructure which has made it one of the foremost photographic destinations in the world. My experience with this beautiful countries natural wonders is only partially complete, and it will take many more trips to fully uncover all that it has to offer. 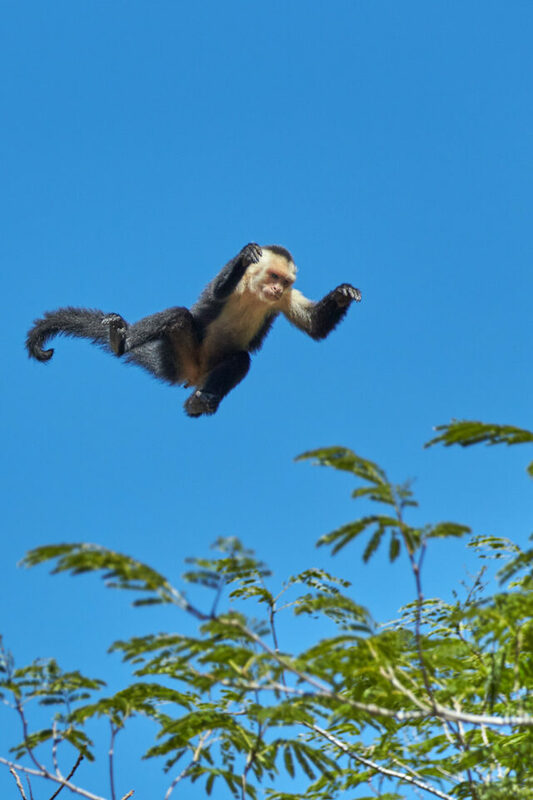 That said, I wanted to offer a list that covers my current photographic recommendations for nature photography in Costa Rica and this list will be updated in the future. Our first stop is nestled on the slopes of an active volcano just under fifty kilometers from Costa Rica’s capitol city of San Jose. The verdant coffee plantations splayed out across the valleys leading up to the park entrance only hint at the opulence of the greenery to be found on the slopes of the Poas Volcano. Standing at over 2700 meters, the volcano has recently erupted, leading to a temporary closure of the park until further notice. Yet it is this very activity of the mountain which makes the ground of the surroundings valleys to so rich and fertile. 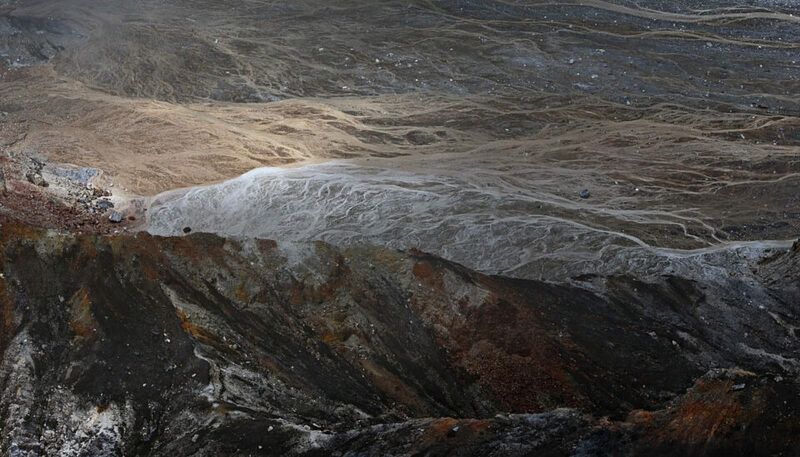 When it is not active, visitors are allowed to go up all the way to a vista which over-looks the 290 meter deep crater. Despite the crater’s depth and distance from the vista, winds help carry copious amounts of gases up from the crater towards the viewing platform and thus making it difficult to breath for extended periods of time. Because of this, I suggest taking 5-10 minute intervals when attempting to photograph the volcanic crater. The main crater is not the sole attraction of the National Park, for narrow trails in the surrounding cloud forests reveal a lush world of ferns and bromealids. Eventually, the trail leads to an opening in the forest and a ledge overlooking a cold, green water lake. 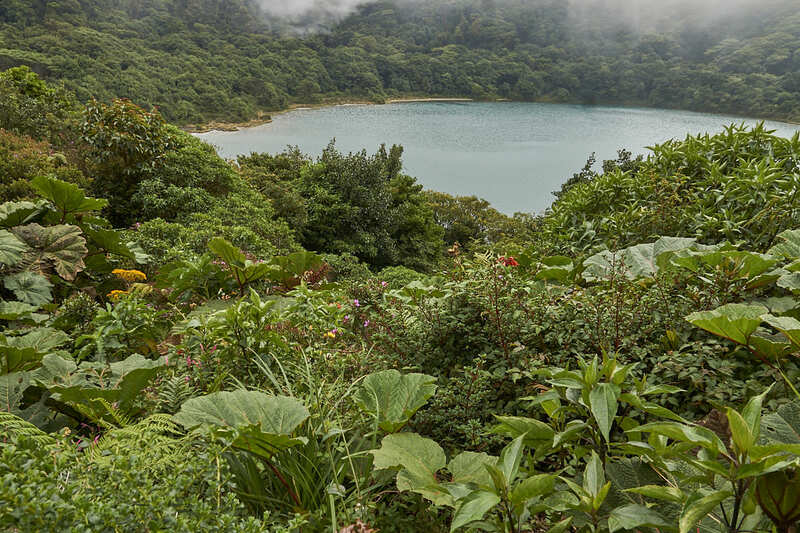 Surrounded by cloud forests, Lake Botos fills an inactive crater, which last erupted almost ten-thousand years before. Today, the placid lake and crater serves as a contrast to it’s tumultuous cousin. Exploring the mountains surrounding valleys and hillsides reveals other secrets like the unique Peace Waterfall. 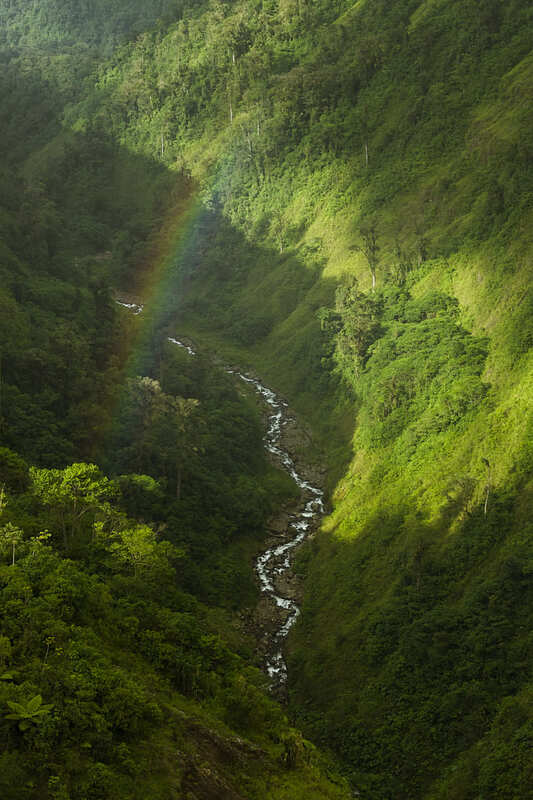 Adjacent to the Poas Volcanoes lies the Braulio Carrillo National Park which comprises of some of the best preserved examples of primary forests found in Costa Rica. Its relatively large size (475 square kilometers) and its varied altitude (over 3000 meters between the lowest and highest points) allows Braulio Carrillo to encompass a multitude of different habitats and biomes. 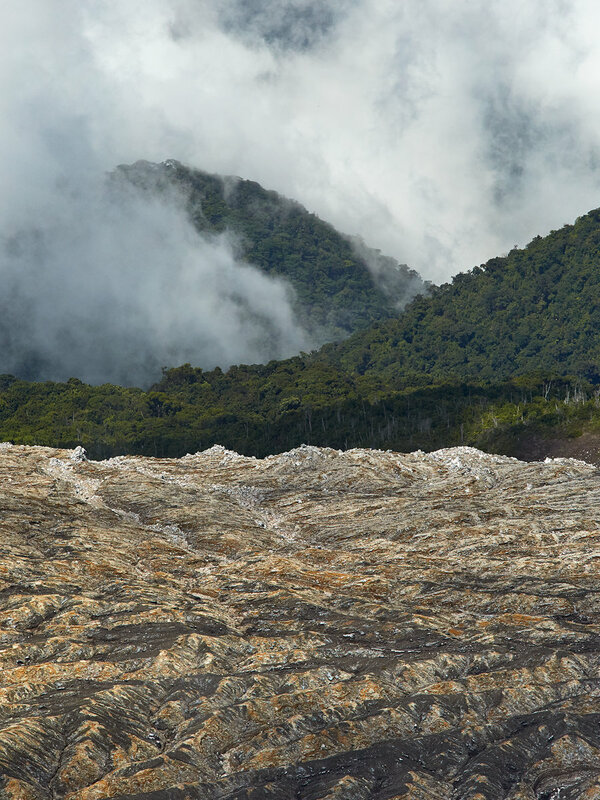 The mountainous side of the park hosts the Talamancan montane forest ecoregion, which is characterized by vast swathes of evergreen forests lying at elevations above 750 meters. 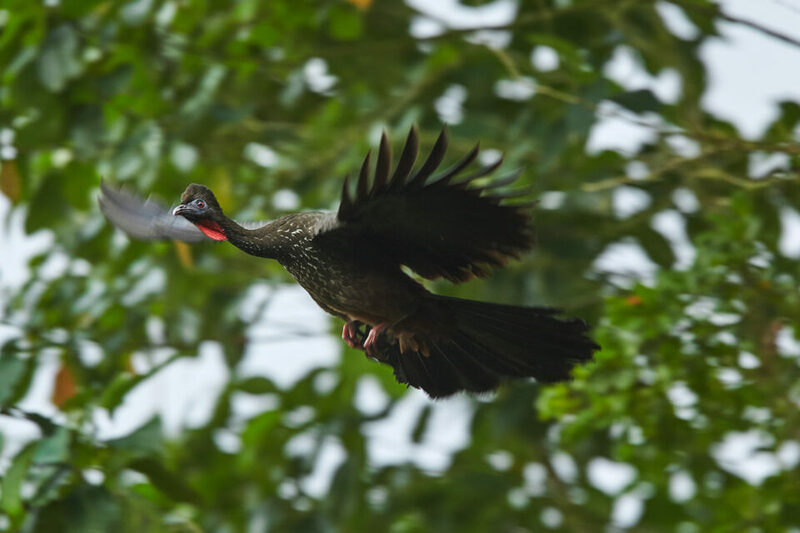 These forest’s host a richness of life virtually unrivaled, with 136 mammal species and 450 species of birds calling these forests home. 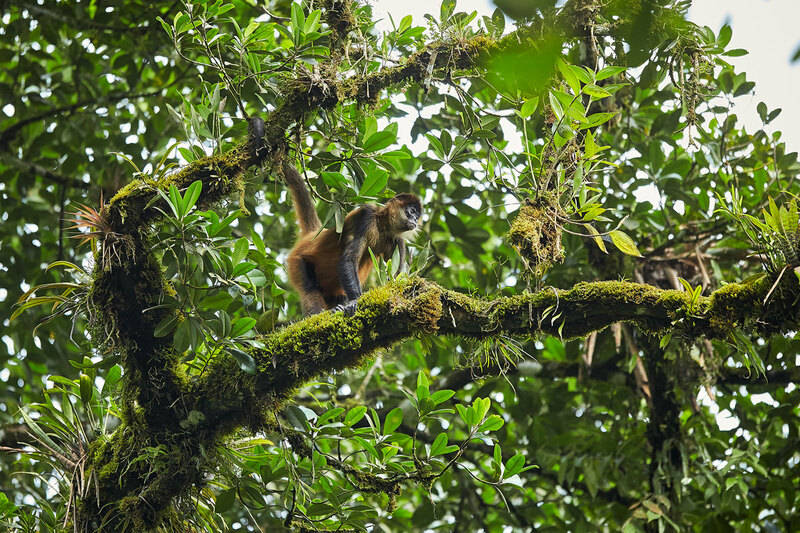 While actually coming into contact with many of these species can prove difficult in the endless labyrinth of the forest, some wildlife can be found while trekking the mountain trails found in the southern half of the park. The northern reaches of the park are characterized by lower elevations which host the Atlantic Moist Forest ecoregion. Here, the temperatures are much higher then in the mountains with a 30 Celsius average day time high. The area also receives an average annual rainfall of over four meters and this precipitation remains mostly consistent throughout the year. Because of this, a raincover is a necessity if one hopes to keep their camera gear from getting soaked. Lying at the north-eastern corner of Braulio Carrillo National Park is the world famous La Selva Biological Station. The research station is recognized internationally as one of the most productive field stations in the world for studying tropical rainforests and it hosts scientists and research teams throughout the year. The site’s many trails offer a glimpse into a world of astonishing diversity. Just within the confines of the 15 square kilometer protected area of the station, one can find 5,000 species of vascular plants of which more than 700 species are trees. 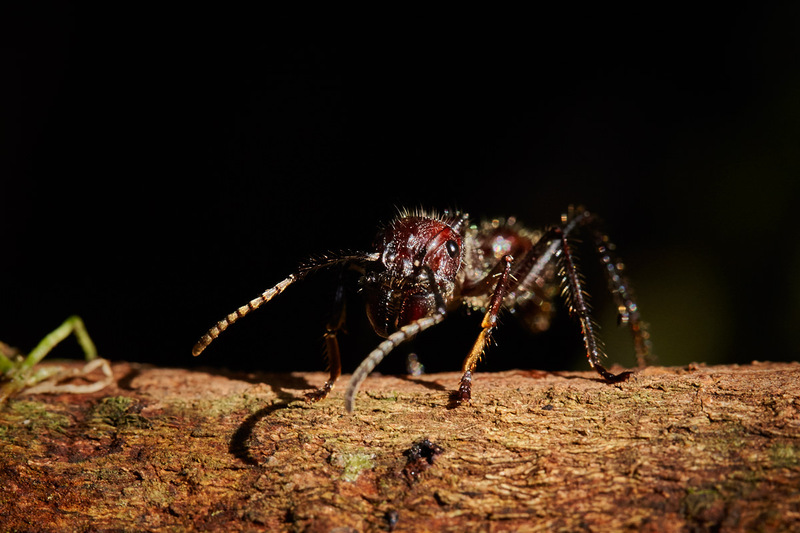 There are also about 300,000 different species of insects, with over 450 ant species and more than 5,000 species of moths. You need to have a guide with you at all times and they are quite expensive, but they are also incredibly knowledgeable and helpful in finding different species. Over two hours west of La Selva lies Arenal Volcano National Park which comprises of the parks namesake and the surrounding forests and lake. 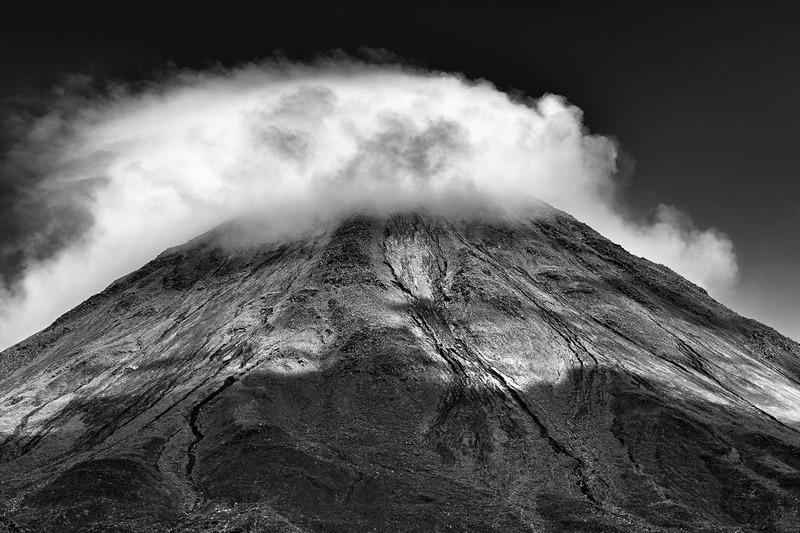 Considered dormant for hundreds of years, Arenal sprang to life in 1968 when it erupted unexpectedly, destroying the small town of Tabacón in the process. 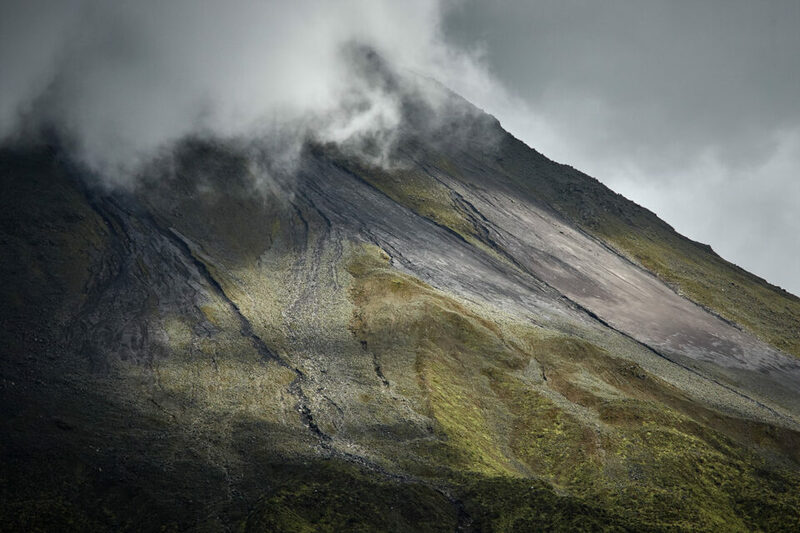 The volcano remained active until 2010 when it became dormant and today the slumbering giant hosts beautiful rainforests that lie on it’s foothills. A number of different trails snake their way through the forests and I recommend doing them all, especially if you are interested in finding some of the parks resident toucans which are quite easy to spot, but prove much harder to photograph. The last stop on our journey (for now) takes us further west to where one of Costa Rica’s best kept secrets lies. It is here where the azure waves of the pacific crash into the sand of Santa Rosa National Park’s coastline. From there, the path inland leads through a multitude of habitats and forest types punctuated by the increasingly rare and fragile Tropical Dry Forest. These forests will drop their leaves during the dry season and will remain bare for three to five months. The reason such forests can thrive here is due to the dry, almost parched climate found in Santa Rosa. 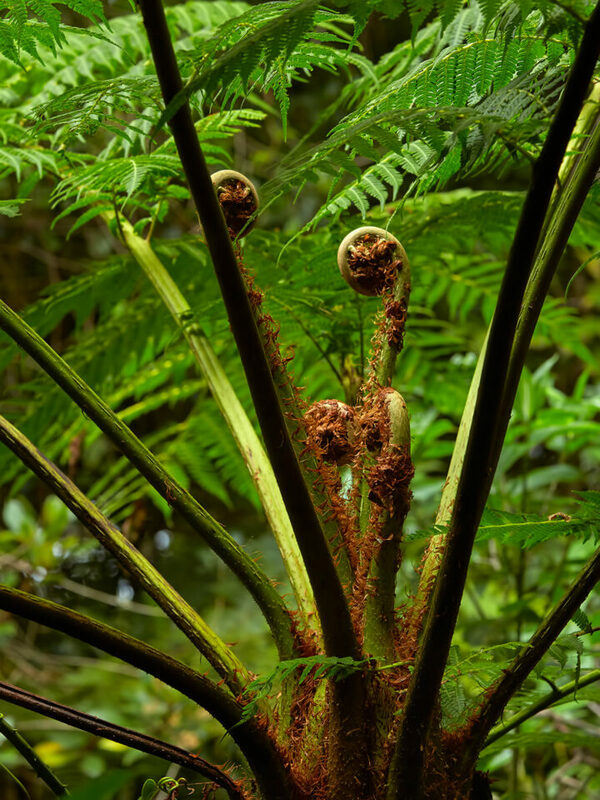 Though seemingly barren at first, the keen observer will notice a forest rich with life and diversity. 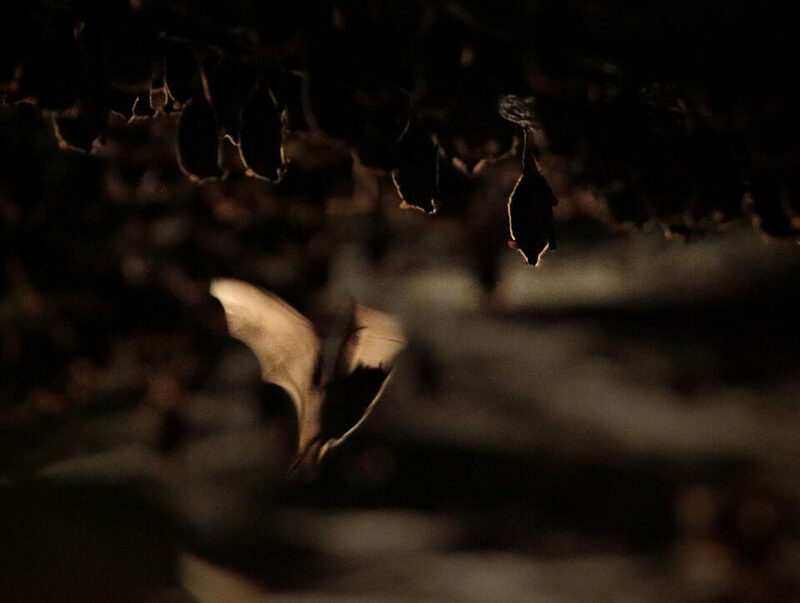 With about 500 bird species and an estimated 140 species of mammals, 40 of which are bat species. 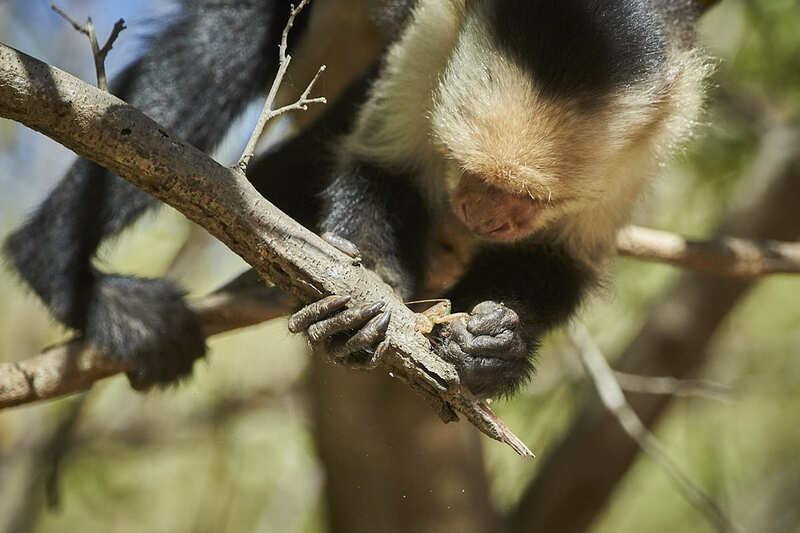 White Faced Capuchin Monkey trying to break open a branch to find the food contained within. The park has very few trails and the main road that leads to the coastline is only meant for the better 4×4 vehicles, something I learned the hard way trying to traverse it the low clearance Toyata Rav4. But the views along the way are spectacular and the chance to see some of the parks less reclusive wildlife offers a great incentive. 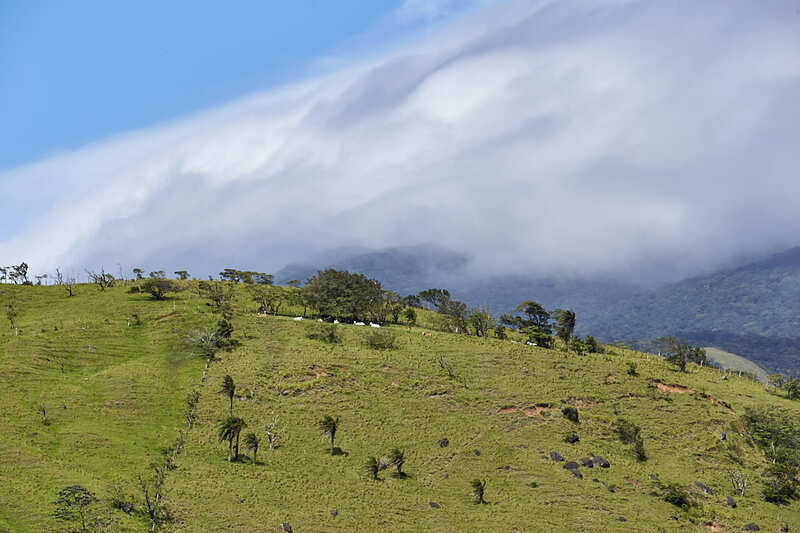 Were it not for the cattle farms that fragment Santa Rosa from Rincón de la Vieja Volcano National Park. you would be fooled into thinking that the two parks are one. Easily visible from Santa Rosa’s dry forest lies the ominous peak of the active Rincón de la Vieja Volcano (which has very recently erupted) and a landscape that is more reminiscent of Yellowstone then Costa Rica. 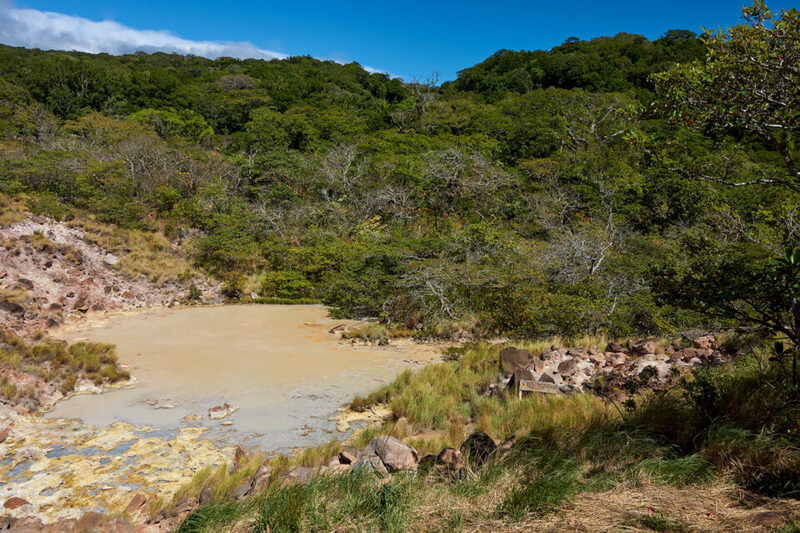 With it’s volcanic vents, geysers and mudpots, Rincón de la Vieja Volcano National Park offers an interesting mix of geological phenomena along with a beautiful dry forest teeming with life. 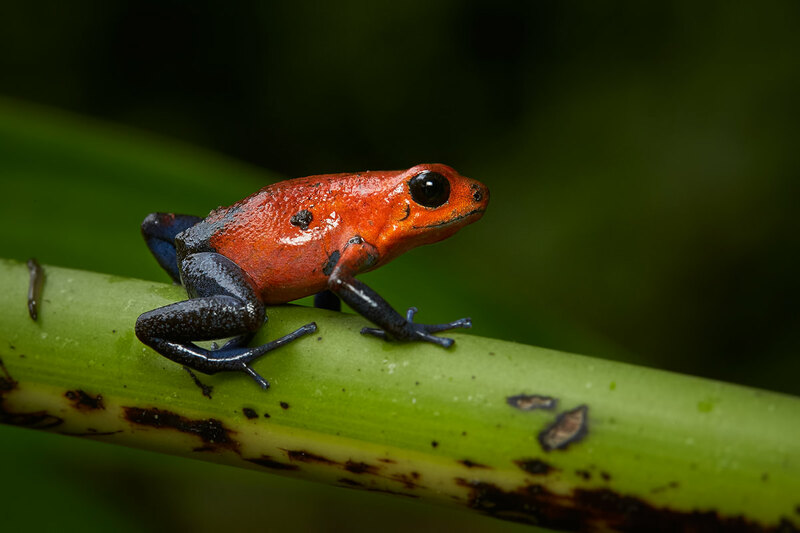 Perhaps no image can conjure the delicate and peculiar fauna of neotropical forests in general and Costa Rica in particular as the Red Eyed Tree Frog, and undoubtedly the small nation offers exceptionally preserved specimens of such forests and their shy inhabitants. 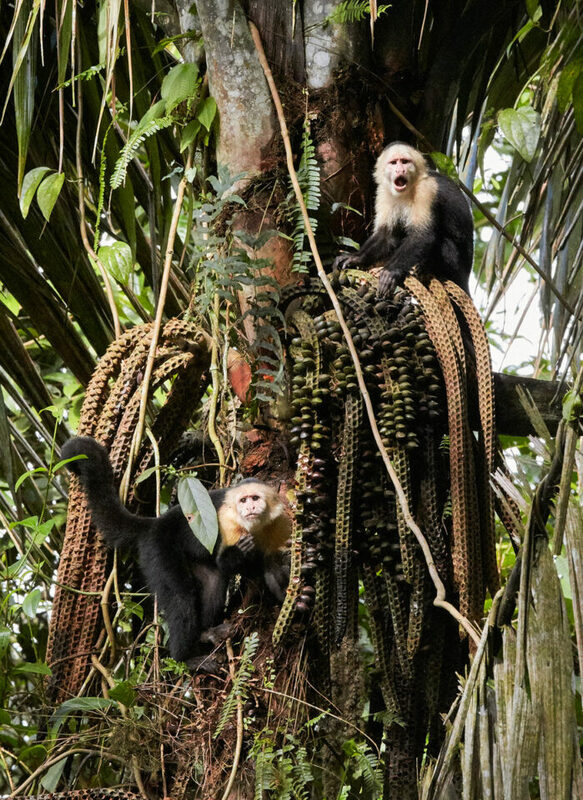 Costa Rica offers a variety of forest habitats, magnificent displays of geological phenomena, and an incomparable diversity of wildlife, which unfortunately is increasingly threatened by the proliferation of cattle farms and deforestation. 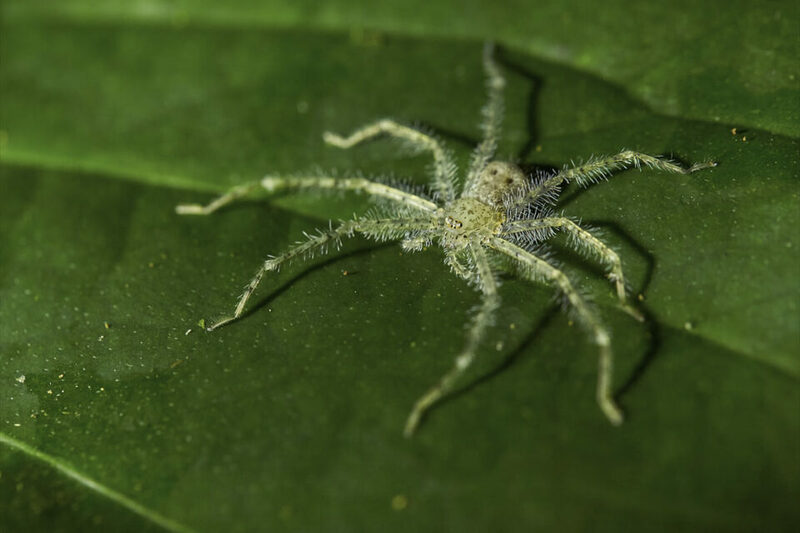 This makes documenting the fragile yet extraordinarily rich and sustaining ecosystems of Costa Rica all the more imperative and is fortunately, with the right gear and proper preparation, not an arduous task. Such a pastoral scene isn’t it? A herd of cattle quietly grazing on a green pasture with a beautiful backdrop. Yet just a few years before, in this very spot, there was once a beautiful rainforest teeming with life. Many of the species photographed above used to call this spot home and today the only two species remaining here are cattle and humans. The number one driving force of deforestation in Costa Rica and the Americas is our insatiable and unsustainable appetite for beef. Every single day whole forest’s and their inhabitants perish in Costa Rica to make land for cattle pastures. This sight was all too familiar as I traveled throughout Costa Rica, a country that cuts down 4% of their rainforests each year to make room for cattle and agriculture. A little math would make it obvious that such rates are not nearly sustainable in the long run. Personally, I have stopped eating any beef products because of my experiences in the world’s rainforests and seeing first hand the damage that my appetite can cause. And it serves as a stark reminder that our seemingly meaningless every day choices can have a lasting impact on the rest of the world and the livelihood of the species we so love to watch and photograph. Fantastic vibrant and versatile nature photographers paradise. Loved every image! Do you do small group tours? Wow, what a report! I really respect the time and effort you took to reach difficult places and willingness to explore at night. You were well rewarded with the great wildlife photos and gaining considerable knowledge of the environment. To me, this is the essence of wildlife photography where you carefully learn your environment and subjects, allowing you to capture them at a deeper level. It makes me want to go to Costa Rica right now! One (THE one) of my best travel ever ! Wonderful writing Dvir, some great photos, I noticed you took a multitude of cameras and lenses. Must be tough to carry. This was a very inspiring piece. I have always tried to get my hands on an encyclopedia or book about bird species. But most are limited to one region. I need a course in bird watching. I am very glad that you enjoyed my article! I indeed tend to take a few different camera bodies and lenses. I also share with my father some camera gear and can use different gear on different days. I have lived in Costa Rica for 20+ years and I take exception of your description of deforestation in Costa Rica Your lumping of Costa Rica with all of the countries in The Americas was outrageously heavy handed. I challenge you to site substantiation for your claim that Costa Rica is, “a country that cuts down 4% of their rainforests each year”. It is not true! 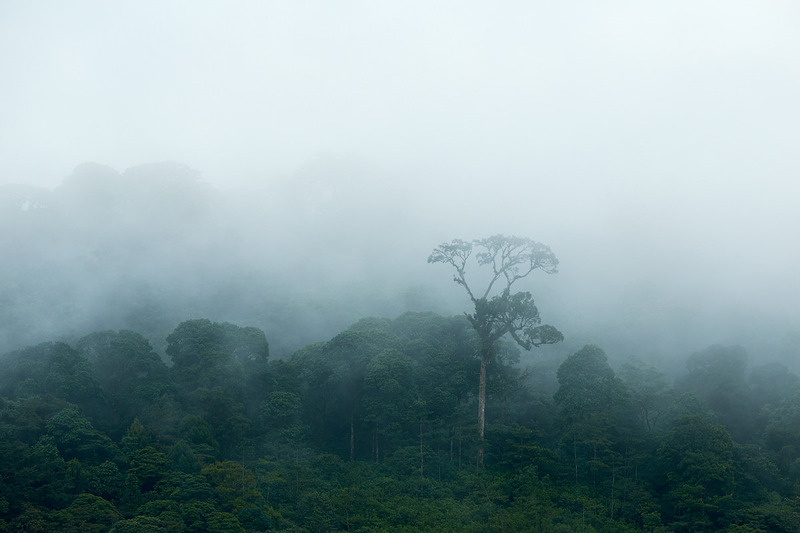 (note: In some cases you use the hyphenated word ‘rain-forest” and other times it was “rainforest”. Were you copying and pasting from a source. If so, what source?) You made some damning claims about Costa Rica without citing any sources. Very unprofessional conduct. I wish the editor who approved this article demanded citations but I think your inaccuracies fit his narrative also. 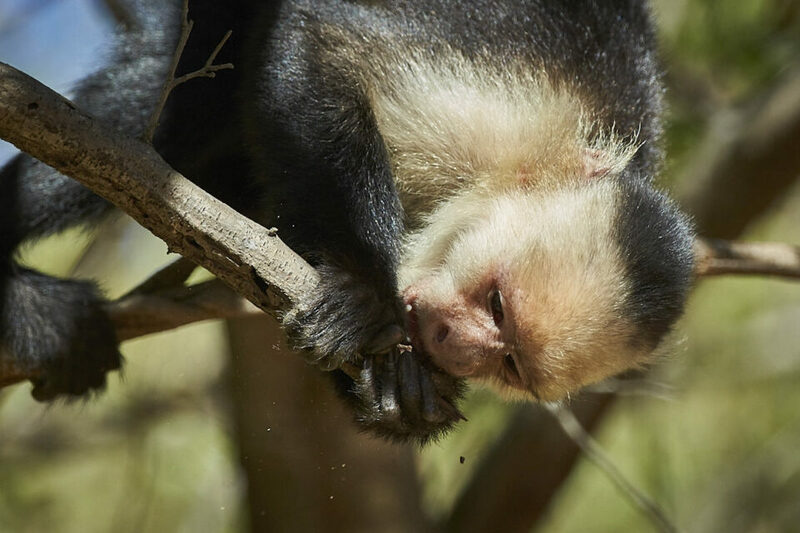 You took another backhand at the cost for a required guide at Braulio Carrillo National Park. The guides are there to uphold the rules of how visitors behave in the forest, to get you back to where you stated in one piece and to share their vast knowledge. You complained, “You need to have a guide with you at all times and they are quite expensive….”, Can you share how much was “quite expensive” and whet would you feel would be a fair price? Last and not least you never once mentioned the people of Costa Rica. You did mention that there were a lot of Toucans but they were very hard to photograph. Costa Rice and Ticos, the affectionate name their friends call them; are a cheerful, well educated and humble people You would be hard pressed to find one who would confront you as I am. The have voted to protect 25% of their forests as well-protected and well administrated national parks. They have a lot of programs offering attractive incentives for the private sector to preserve and, when necessary, reforest their land. 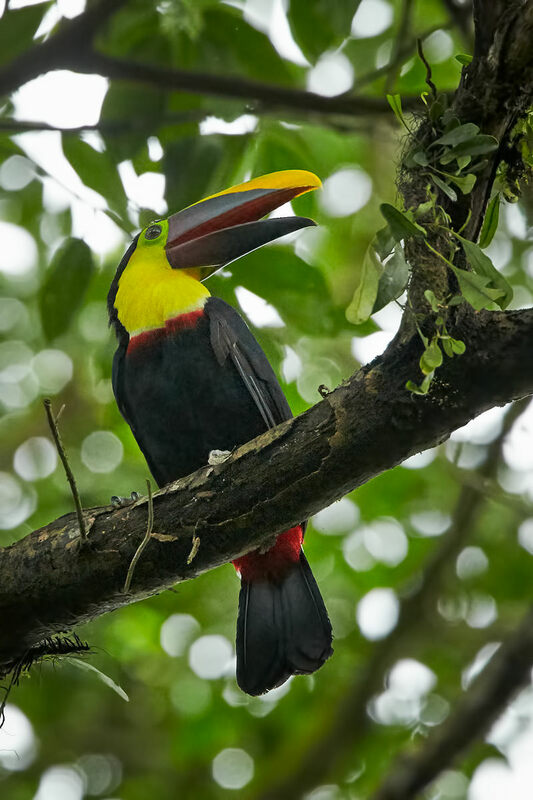 You were wrong about the Ticos and wrong about the Toucans. I have many shots of Toucans I can share but I don’t think you would be interested. Perhaps the Toucans just didn’t like you. When you visit a humble country a humble attitude goes a long way. I hope the “Photography Life” folks don’t remove this post. The people of Costa Rica deserve to be heard. I have two things to say in reply. First off I thank you for picking up on the missing “.” before the number regarding the rates of deforestation and I will explain more later. Secondly, I do not think we need to stoop to lowly name calling and false assertions about the originality of my writing to convey our points. Regarding the toucans. I am sure you have lovely photos of the birds. But my text explicitly mentioned the Toucans of Arenal, and that they are difficult to photograph there. I did not mention toucans in any other context. Secondly, regarding the price at La Selva. Again, you took my comment and butchered it up. Forgetting to mention that I added “but they are also incredibly knowledgeable and helpful in finding different species.” I paid $80 for my guide for a two hour period. 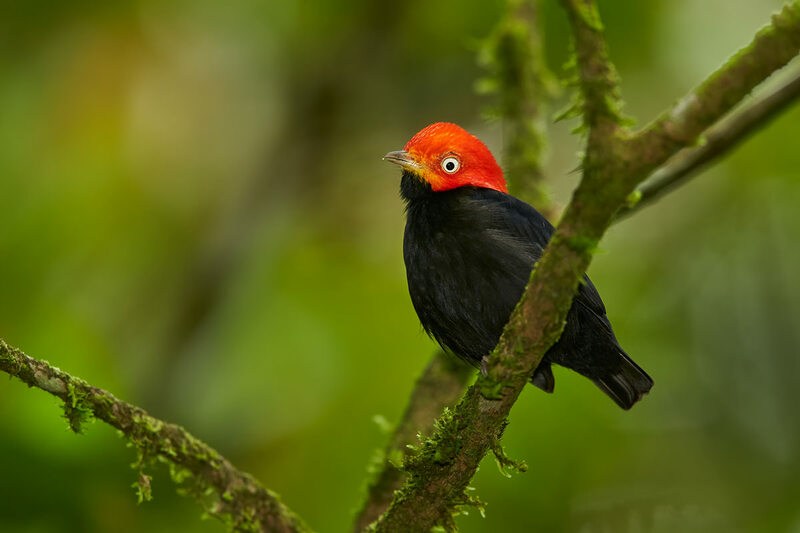 Considering how difficult it is to find wildlife, even in a forest as rich as La Selva and given how short two hours are from a photographic perspective, yes $80 is expensive. In a vacuum, $80 for two hours is not terrible. But considering my whole perspective in this article is a photographic perspective, this price takes on a whole new meaning and thus becomes expensive. Regarding deforestation. The number was supposed to be .4% and not 4%. The same can be said for my usage of rain-forest and rainforest, that is a typo. This calculation is based on the most recent rain forest loss averaged out. The current rate of deforestation has thankfully stabilized at a rather “minimal” level. But let us not forget the 1960s to 1980s period in Costa Rica’s history when “Deforestation rates were 7 percent per year during this period of rapid change, versus 2 percent for the other time periods(Sader, 1988)” Furthermore, “Between 1990 and 2000, Costa Rica lost an average of 18,800 hectares of forest per year. The amounts to an average annual deforestation rate of 0.73%. Between 2000 and 2005, the rate of forest change decreased by 117.2% to 0.13% per annum. 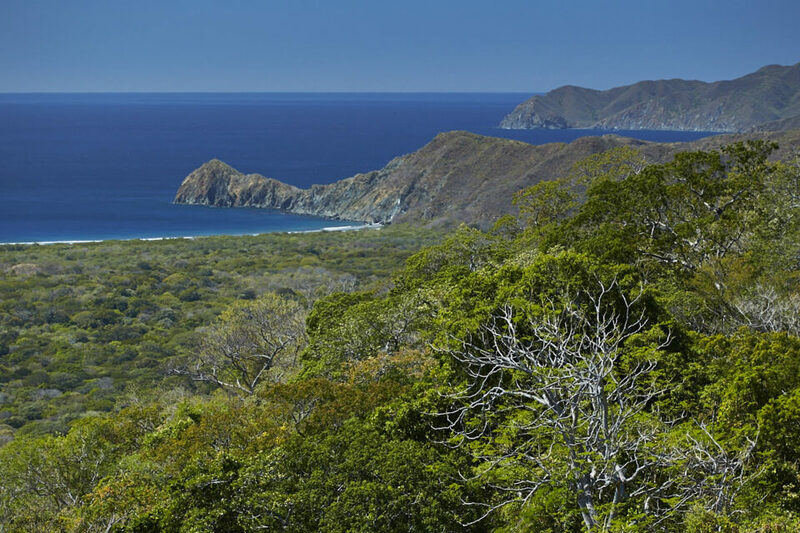 In total, between 1990 and 2005, Costa Rica lost 6.8% of its forest cover, or around 173,000 hectares.” (Mongabay) All of this amounts to the fact that the forest cover change from 1940 to today has been a reduction of the forest cover from “85% to around 35-50%” (Mongabay). In very recent years, the rate of deforestation per year has thankfully significantly dropped with a rather low rate and I would be happy to make the change in my article to reflect the change from 7% per year to what is now very little. 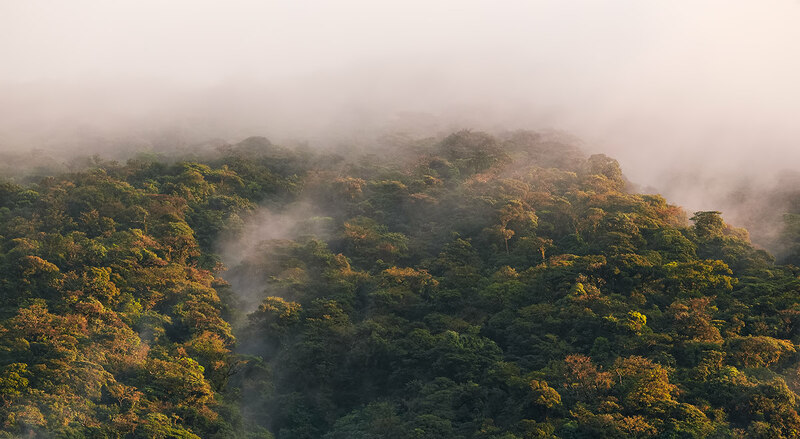 The fact remains that Costa Rica has lost around 40% of it’s rainforest over the last 50 years though that rate has dropped, the forests that have been cut have not really returned and the species lost due to this are forever lost. Now, if I were to write an article about the forests of countries like the USA or Brazil, my critique would be much harsher because such countries have done nothing to curb their rates in truly meaningful ways unlike Costa Rica. So you can say that relatively, Costa Rica is one the lesser evils in the world of deforestation currently and is “only” ranked 75th in the world in rate of forest loss over the last 20+ years. Costa Rica is a beautiful country with lovely people and I cannot say enough good things about my experiences there. Unlike a Lonely Planet guide book, my articles are narrow in scope and almost only concentrate on the photographic aspects of the countries they cover. I thank you for noticing my typo, but otherwise your reply is unnecessary and your accusations unfounded. I love Costa Rica! Amazing people, beautiful landscapes, and I do love how protective of their nature they are (as you said compared to other countries, they are somewhat of an example to follow!). I understand you didn’t like the previous comment, but I liked your response and how you added some explanation and sources in your comment. I didn’t know some of those figures! Fascinating! 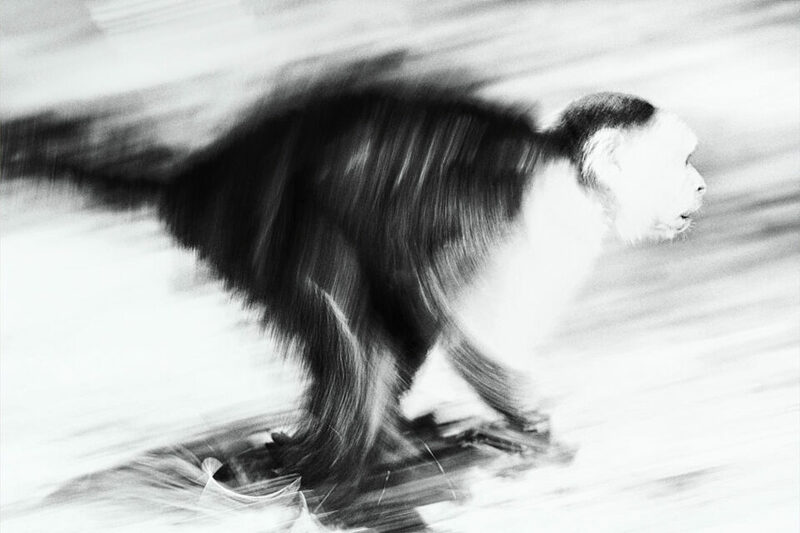 My favourite photo is the black and grey monkey running. It has energy and brings me back to a simpler time in photography. Very nicely done. Inspiring! I’m going next month and would love to know! I would like to hear more about your photographic techniques. I understand that CR wildlife photography involves low light, often long distances between subject and photographer and fast moving subjects. There are also opportunities for macrophotography and landscape photography. So my questions are 1. what lenses do you recommend bringing for these diverse types of shooting? And, I noticed that you used ISOs up to 6400-12800 for some of your best photos and also apparently used teleconverters on some close up shots, which would reduce the light available to your otherwise fast (usually f2.8) lenses. 2. So how did you get rid of the graininess that goes with such high ISO settings? 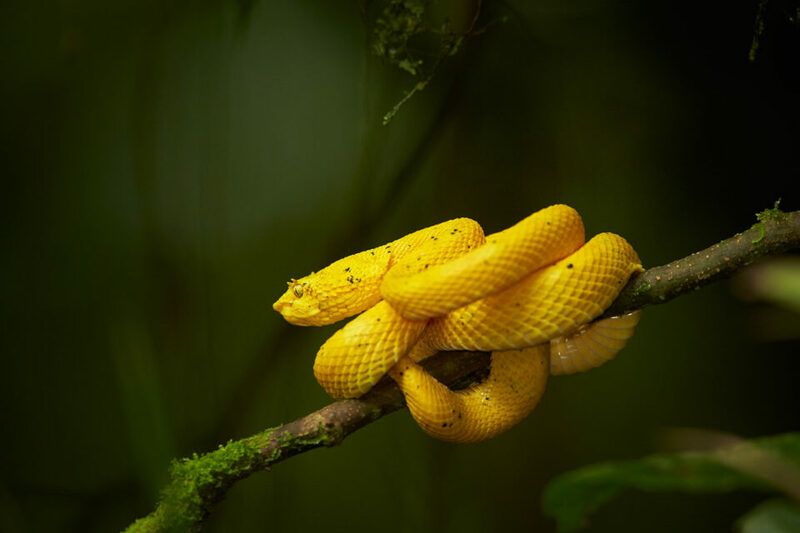 Lovely images, but I can see it can be a challenge in dark, canopied forests. Would have liked a little more info on gear, techniques for photographing in difficult lighting, flash/no flash? Focal lengths recommended. I see a very wide range from 16mm – 600mm! Thank you! Excellent collection of photos Dvir. Great work. I look the Frog one where it looks like he’s waiting for someone (i mean something ? I enjoyed the work very much. I’m planning a trip in March of 2019 and have been trying to find private photo guides. DO you have any recommendations in this regard? Thanks!